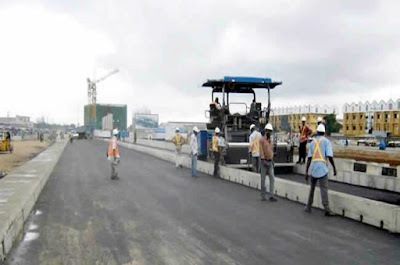 The reconstruction of the Apapa Wharf road and its subsequent put to use on Tuesday, attracted some responses from port users, who said it’s a relief to them. The News Agency of Nigeria (NAN) reports that the two -kilometre road that was bad for months caused difficulties for truckers going into the port in Apapa, Lagos. The road was reconstructed through Public Private Initiative (PPI) by AG Dangote, supervised by the Federal Ministry of Works and Housing. Mr Donald Obilonu, Terminal Manager Hull Blyth Nigeria Limited, said the completion of the road would bring relief to transporters, who were hitherto worse hit by the bad conditions of the road. According to him, the bad nature of the port road had made transporters to increasing haulage fare above 100 per cent, a situation that had pitched them against operators and regulators most times. “They keep saying that the tear and wear the trucks are subjected to on the bad road and coupled with delays that trucks encounter in getting to port, that in most cases then takes up to a whole week, made them to hike fares,” Obilonu said. The manager, who expressed excitement on the commencement of the Tin Can port road said that port users would be most grateful to see it completed on time. Mr Francis Odusanya, Port Manager, Bhosource Business Support Services Limited, said that the completion of the road would fast track businesses at the port. “As an investor most of the factors and variables one plots in as a result of the traffic congestion and its attendant unforeseen expenses will be off the radar,” he said. Mr Andrew Young, a Terminal Manager with ENL Consortium LTD said there had been improvement in accessing the port since mid- December when trucks were allowed to use the road. “The struggle by truckers to enter the port for loading and dropping off container has relatively been reduced compared to what it used to be months ago,” Young said.